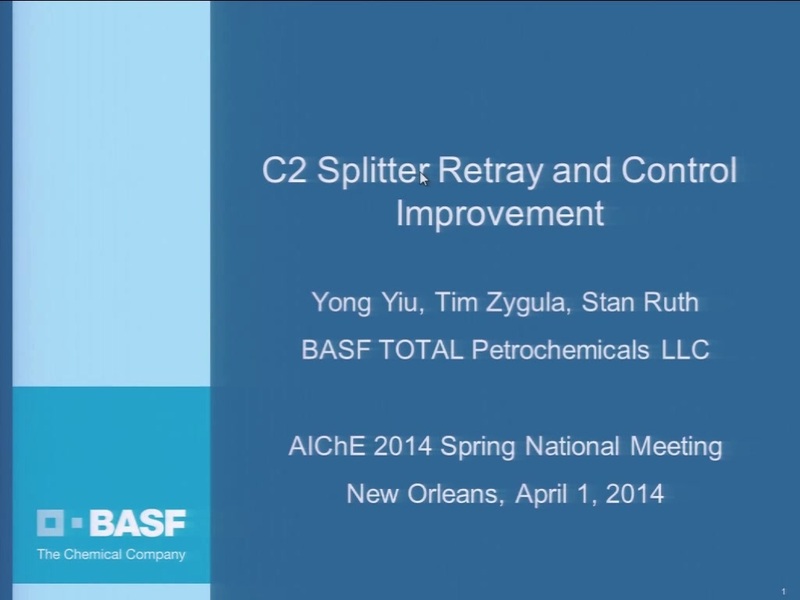 As part of an ethylene production expansion project, C2 splitter trays were restructured in the plant’s turnaround in 2012. This change made a significant shift in the column’s temperature profile, resulting in ineffective temperature control and lower material efficiency. Comparison of the column’s operational behaviors based on historical data analysis shed light in relocating the temperature control point that has a stronger correlation to bottoms composition and faster response to reboiler’s heat input. The improved temperature control system helped bring the column’s model predictive control system back in service. Results are improved operation stability and better control of compositions in both side draw product and bottoms residue.